For more than 40 years, the Honda Accord has been one of the best-selling and highest-rated midsize sedans on the market. Fans of this classic are perennially impressed with the Accord’s high projected reliability, excellent safety scores, family-friendly features, and smooth, comfortable ride. It’s no wonder that the 2017 Honda Accord is named among Car and Driver magazine’s coveted 10 Best this year – for the 31st time in its history. The most notable update for the 2017 Honda Accord is the addition of a new Sport SE trim, after a significant refresh of the entire line-up for the 2016 model year. 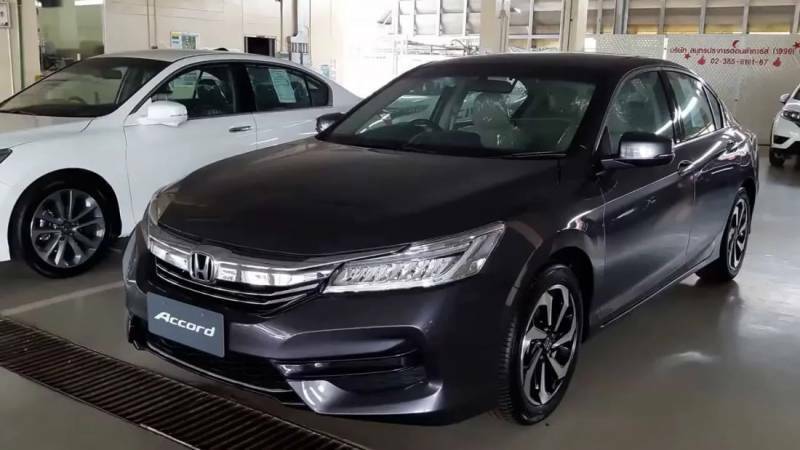 The Accord is available as either a coupe or a sedan, which are available in the same five trim levels, and are both capable of seating up to five passengers comfortably. The 2017 Honda Accord is equipped with an 185-horsepower 2.4-liter four-cylinder engine, though drivers who want more power can opt for the 3.5-liter V6, which produces 278 horsepower. The four-cylinder engine comes paired with a standard six-speed manual transmission, or an optional continuously variable transmission, which operates like an automatic. Drivers who opt for the V6 enjoy a six-speed automatic transmission in sedan models, or a six-speed manual in coupe models. The Accord’s relaxed driving style fits its reputation as a solid, reliable family car; any driver can appreciate the cushioned ride and precise, responsive steering. Although the CVT has a reputation for choppy operation when paired with a four-cylinder engine, that hasn’t been the case with the 2017 Accord. The reported 0-to-60 acceleration is clocked at 8.1 seconds, which is average for cars with this combination. If you opt for the V6, you’ll enjoy some of the fastest acceleration in the class. The stopping distance of both engines is 117 feet in 60 miles per hour, which is also a standout. The 2017 Honda Accord is one of the best midsize sedans when it comes to safety, and in fact one of the overall safest cars on the road. Its stellar crash test scores have earned it the Top Safety Pick+ designation from the Insurance Institute on Highway Safety and a five-star overall rating from the National Highway and Traffic Safety Institute. All Honda Accord trims can be updated with the Honda Sensing driver assistance suite. This package, which costs $1,000, comprises advanced technologies like active lane keep assist, adaptive cruise control, forward collision warning, and automatic emergency braking. Technology abounds on all 2017 Accords, beginning with the four-speaker audio system, Bluetooth and USB connectivity, 8-inch infotainment display, and rearview camera in the LX model. Upgrading to the Sport adds a 10-way power-adjustable driver’s seat, while the new Sport SE trim comes with heated front seats and leather upholstery. Buyers looking for a truly luxurious experience at an affordable price point can opt for the EX. This adds a second 7″ touch screen display through which you can sync your smartphone using either Apple CarPlay or Android Auto connectivity. It also includes a moonroof, push-button start, both HD and satellite radio, and the LaneWatch blind spot camera. If you want leather upholstery, heated front seats, and a seven-speaker premium audio system, those items are included in the EX-L. Finally, the fully loaded Touring model of the Accord includes all those features plus navigation, front and rear parking sensors, and rain-sensing windshield wipers. It’s clear that the Accord is one of the best all-around cars in the midsize sedan class. As with most cars with this much versatility, however, some rivals are more impressive when it comes to specific features. For example, buyers who are looking for a long list of standard features on all trim levels might prefer the Hyundai Sonata to the Accord. If you’re looking for a midsize sedan that performs like a sports car, you’d probably be better off considering the Mazda 6. But for an overall great car, it’s almost impossible to beat the 2017 Honda Accord. The Accord’s closest competitor is likely the Toyota Camry, though the Accord boasts better fuel economy, more standard features, and a more refined interior than the latter car. And while the Nissan Altima is known for its incredible cabin and comfortable zero-gravity front seats, it includes fewer standard features than the Accord at a higher price point. Drivers who want to save money at the pump should opt for the four-cylinder Accord, which earns an impressive 27 city/36 highway miles per gallon according to the EPA. That’s further than you’ll get with some larger hybrid sedans. The V6 earns a lower but still impressive 21 city/33 highway mpg. In addition, the Accord Hybrid is back as an option for the 2017 model year. 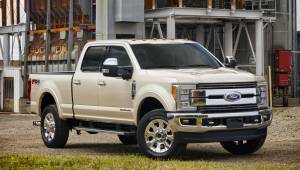 It comes in three trim levels with a starting MSRP of $29,605, and earns an estimated 47 city/49 highway miles per gallon. The interior of the Accord is one of its biggest draws, boasting roomy back seats in the sedan version as well as a well-appointed cabin with stylish, durable materials in either black, gray, or ivory cloth or ivory leather upholstery. 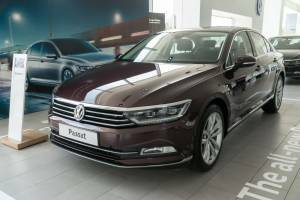 In fact, it ranks as one of the most luxurious interiors in its class, with excellent visibility, dual-zone automatic climate control on all trims, and an available moonroof. Small item storage is abundant, including two versatile bins below the center stack and many large cup holders throughout the vehicle. High projected reliability is also a boon for this vehicle. According to the J.D. Power and Associates Vehicle Dependability Study, drivers can expect the 2017 Honda Accord to hold its value much longer than other comparable vehicles. Although there are few cons to mention when it comes to the Accord, some reviewers find the driver assistance technologies to be overly sensitive, offering unnecessary alerts. Others note that the touchscreen interface is not as user-friendly as that in other midsize sedans, succumbing to frequent glitches. And if you want a truly luxurious experience, other sedans in this class might be a better fit. In particular, the automatic climate control doesn’t get as cool as you might expect. If you’re choosing a midsize sedan, it’s hard to argue with the Accord’s long list of industry accolades. In addition to its aforementioned frequent ranking on the Car and Driver 10 Best list, the 2017 Honda Accord is named a Best Buy of the Year by Kelley Blue Book. The Accord Hybrid has one of the Best Resale Values according to Kelley Blue Book. It’s no wonder that Honda professes to sell a new Accord every two minutes.